Welcome to Trinity Dental Care, the dental office of Drs. Labib, Ibrahim, and Pozzi. 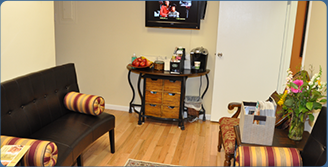 We look forward to welcoming you to our Westwood, NJ dental office. 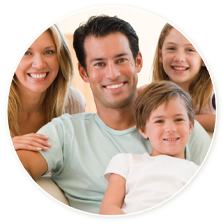 We offer comprehensive general dentistry to patients of all ages and all levels of health. Whether you are new to our office or a valued existing patient, we will work to help you achieve and maintain optimum oral health, all in a comfortable, friendly atmosphere. Our patients really appreciate being able to get all of their dentistry in one place. In addition to general dentistry services such as exams, x-rays, professional teeth cleanings, and restorative care. We offer root canals, extractions, Invisalign, sedation dentistry, and dental implants. Our commitment to providing the best dentistry possible translates to convenience and personalized care for you. By providing a wide scope of services and avoiding the need for a referral to a specialist, we have a complete understanding of your oral health and dental needs. Not only do we provide great dentistry, we also spend the time to get to know our patients as individuals. Everyone has different goals for their health and appearance. In our office, we will listen to your needs and help you achieve your goals. We firmly believe that dentistry can be comfortable! Our dentists are gentle and compassionate with our patients. We believe that strong communication is key to your comfort. We want to know if something doesn’t feel right so that we can correct it. For our patients who get anxiety just thinking about the dental office, we offer sedation dentistry, which will allow you to completely relax for your procedure. There is no need to feel stressed because you won’t feel a thing. If you need a lot of dentistry to repair and protect your smile, you might feel lost when it comes to where to begin. At Trinity Dental Care, we offer full mouth restorative and cosmetic dentistry to address even the most difficult dental cases. Our award-winning doctors, along with the rest of our team, will make sure that you achieve the best outcome possible when it comes to your smile and the comfort of your teeth. We look forward to hearing from you and to providing you and your family with outstanding dental care. Contact us today and one of our helpful team members will find a time that works best for you. For the convenience of our patients, we accept most major insurance plans and offer convenient financing. We are also open early mornings, late evenings, and Saturdays. 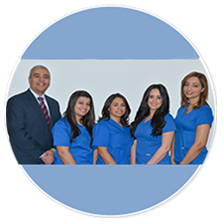 We proudly serve patients from Park Ridge, Old Tappan, Westwood, Emerson, Hillsdale, Oradell, and the surrounding communities.